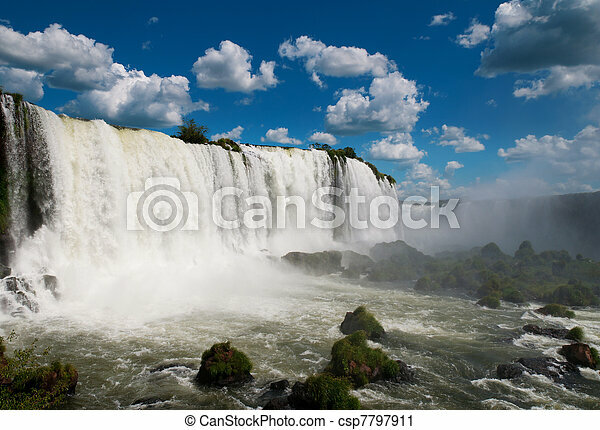 The iguazu waterfalls. 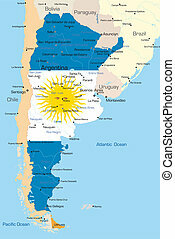 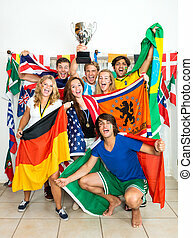 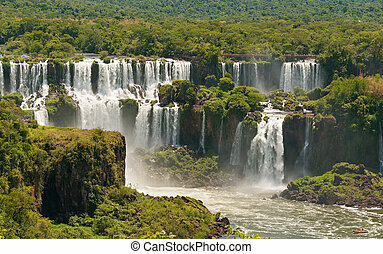 argentina, brazil, south america. 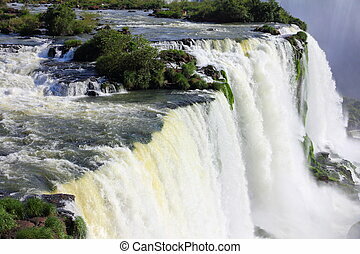 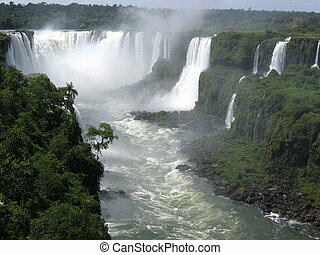 The Iguassu (or Iguazu) Falls is one of the largest masses of fresh water on the planet and divides, in South America, Brazil, Paraguay and Argentina. 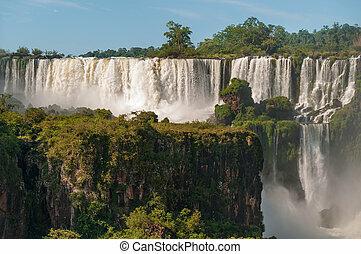 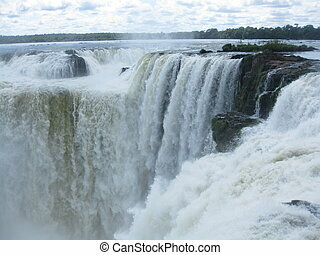 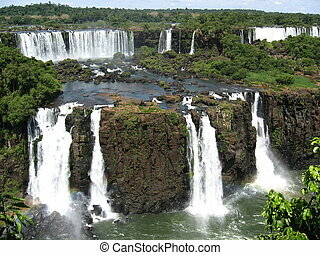 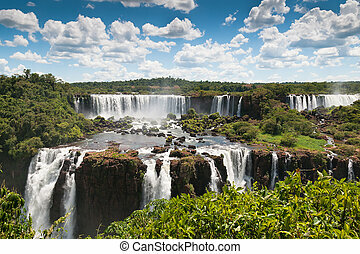 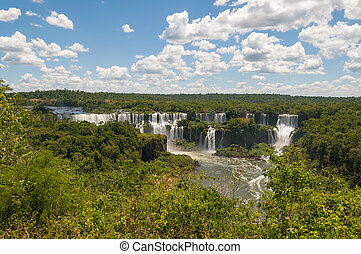 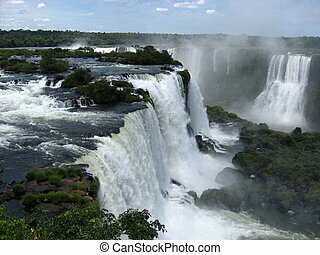 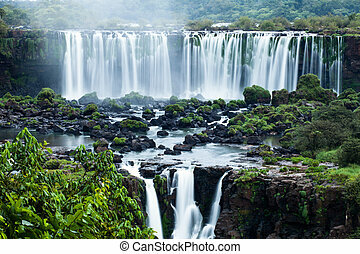 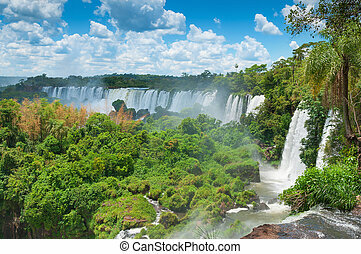 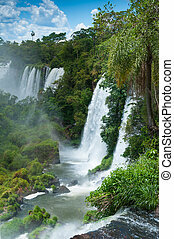 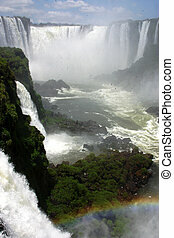 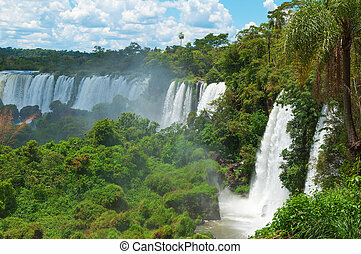 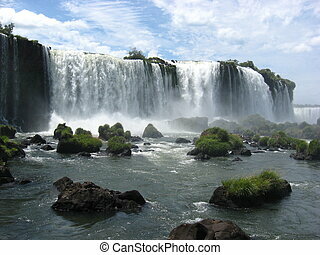 The waterfall system consists of 275 falls along 2.7 kilometres (1.67 miles) of the Iguazu River. 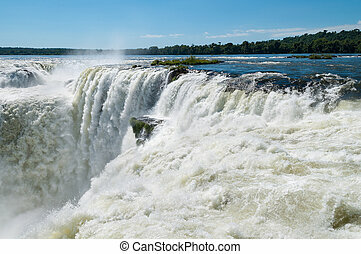 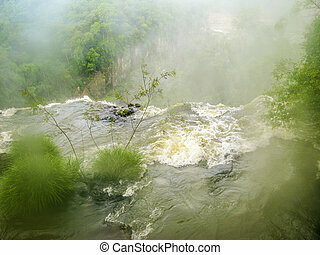 Some of the individual falls are up to 82 metres (269 feet) in height, though the majority are about 64 metres (210 feet). 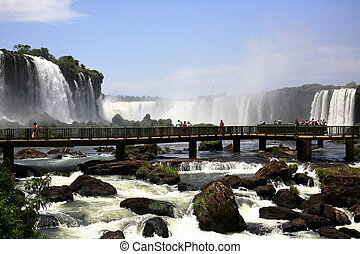 Iguazu Falls, at the border of Argentine and Brasil, Southamerica. 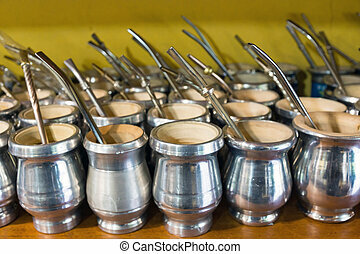 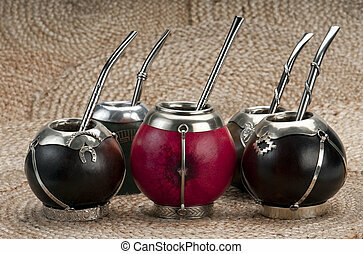 Group of calabash mate cups with straws.,Mate is a traditional drink very similar to tea in Argentina, Uruguay, Paraguay and some parts of Brazil. 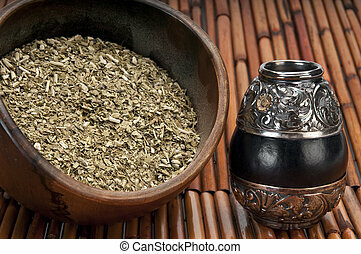 Close up of bowl of yerba mate and traditional calabash cup from Argentina.